RADCOFLEX has been a trusted name in the industry for over 60 years - unfortunately being a trusted brand also attracts counterfeiters and those who wish to profit from the brand name in other ways! It has recently come to our attention that the RADCOFLEX name has been used to distribute non-genuine products through online sales as well as through resellers, some who honestly believed they were selling genuine RADCOFLEX Australian made products. Disappointingly, there are also some resellers who have knowingly been selling lesser quality products, misleading their customers by exaggerating their ‘close’ relationship with our business, selling but not supplying genuine RADCOFLEX Australian made product or falsely stating the product they are selling is comparable to a RADCOFLEX Australia product. Our customers are very important to us and as a result RADCOFLEX is actively working to combat brand and product counterfeiters. This is not just in the interest of our customers who rely on the top quality and service they expect from us – it also protects our company, our brand, our employees and their jobs for the future. 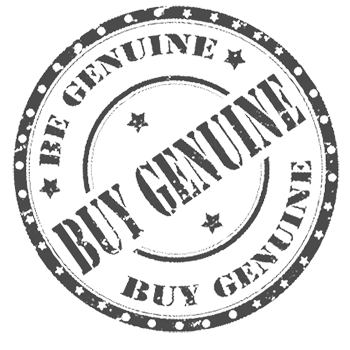 If you wish to investigate whether the specific product you ordered is genuine, please fill out the form at the bottom of this page. Where are RADCOFLEX Australia products made? RADCOFLEX Australia products are manufactured in Seven Hills, New South Wales, AUSTRALIA, using raw materials sourced locally and from overseas. Does RADCOFLEX Australia sell online? Who is an exclusive agent or franchisee for RADCOFLEX? RADCOFLEX Australia does not have any exclusive agents or franchises worldwide. We prefer to deal with the end users or with reputable and experienced resellers so that the correct applications and conditions are met for the required products. What is RADCOFLEX Australia’s relationship with Radcoflex India? There is no relationship between RADCOFLEX Australia and Radcoflex India. RADCOFLEX Australia has no affiliation with Radcoflex India. RADCOFLEX Australia guarantees and warranties do not cover Radcoflex India products. Will the contact information I give in the Product Investigation form below be supplied to an outside source? We endeavour to investigate all enquiries in house and do not foresee any reason to give out your personal contact information. Should the matter need to be taken further, we will contact you directly prior to any disclosure. All we need is a RADCOFLEX sales order number (usually tagged on your product) and/or a supplier name and location and a date of purchase (a rough date is ok). Your request for information enquiry will then be sent to our Customer Engagement Team for investigation. NOTE: We do not disclose specific details regarding the transaction of products. We only confirm that the product details match.